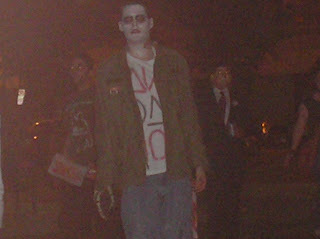 Here's a picture of a zombie that I took back on Halloween night. I normally wouldn't risk my life for a picture but these were zombies. Don't worry I kept my distance, that's why the pic was so grainy.